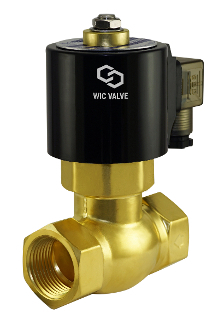 WIC Valve 2BCL Series 2-way normally closed solenoid valve is to control On/Off of air, inert gas, liquid, hot water and steam. 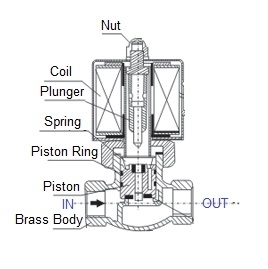 This brass solenoid steam valve has one 1/2" inch NPT inlet and one 1/2" inch NPT outlet port. Valve stays close when the coil is de-energized, and it opens when energized. 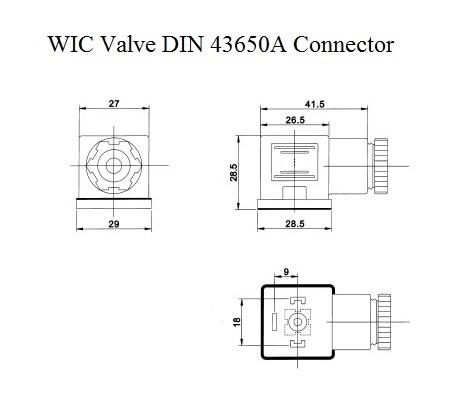 2BCL Series solenoid valve is a high pressure pilot piston solenoid valve, it requires a minimum of 7 PSI to operate. 2BCL Series solenoid valve comes with a ED 100% encapsulated coil which suitable to operate in continuous service and constantly energized. 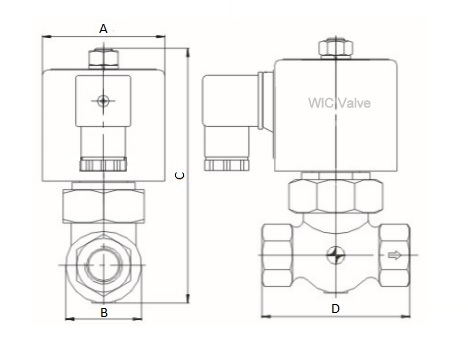 To ensure optimum flow performance, valve should be mounted in vertical position with the coil vertical and inlet/outlet ports horizontal.